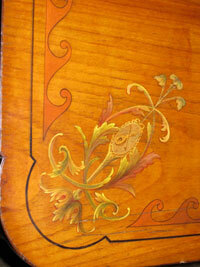 The Viennese action of Nannette Stein Streicher, circa 1800. 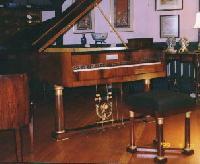 Professor George Damp performing on the Lawrence University Broadwood. 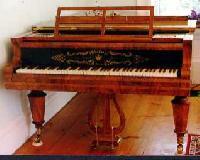 A Beethoven-period pianoforte by John Broadwood, restored for Lawrence University. 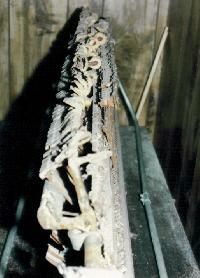 Removing the shattered Broadwood belly rail. 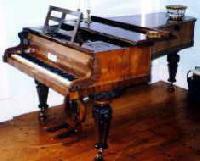 An unusual grand piano built in 1822 by Muzio Clementi now located at the Granger Homestead and Museum in Canandaigua, NY. 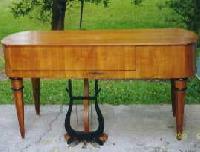 The restored action of the Ithaca Piano. 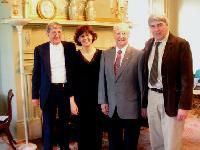 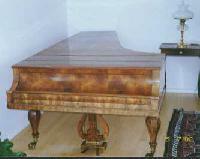 The Ithaca Piano ready for return to a museum in Ithaca. 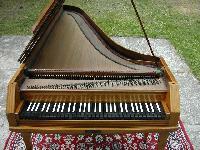 The Ithaca piano action covered with bird droppings. 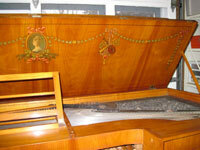 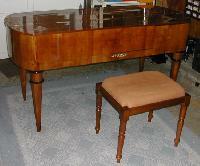 An anonymous square piano with Viennese action, restored for a private customer. 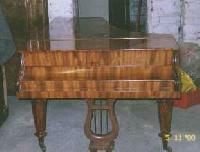 An anonymous square grand piano, 1820. 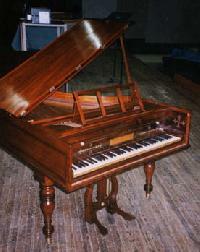 Another restored Bösendorfer from the mid-19th century. 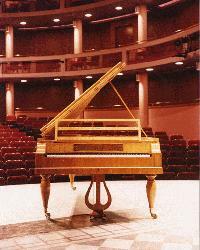 A early Bösendorfer fortepiano, restored for Cornell University. 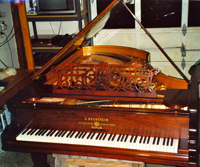 Collard & Collard piano restored with all original parts. 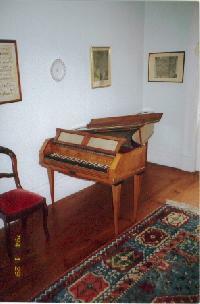 Collard & Collard before restoration. 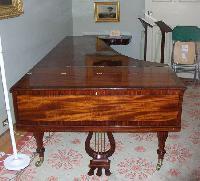 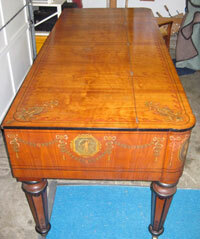 A rare Johann Baptist Streicher fortepiano with English action. 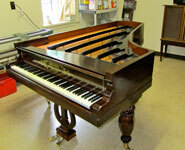 Another view of the 1843 Streicher restored in our shop. 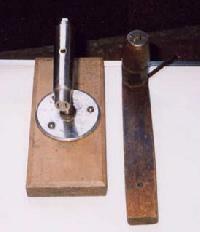 An original machine for installing brass capsules. 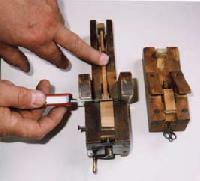 A special, original tool for triming the beak leather of the Viennese action.